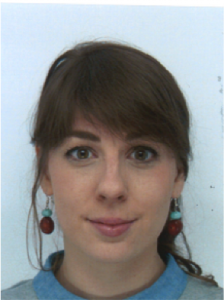 Carole Wenger joined the Centre for Ethnic and Migration Studies a PhD candidate for the ERC-funded project “Migration, Transnationalism and Social Protection in (post-) crisis Europe”, under the supervision of Jean-Michel Lafleur. Before joining the CEDEM, she worked as a research assistant within the Migration and Development Research Group at the United Nations University (UNU-Merit/MGSoG) in Maastricht, in the Netherlands. Prior to that, she worked as a consultant for the Food and Agriculture Organization (FAO) in Cairo (Egypt) on rural migration in the Near East and North Africa as well as for the International Organization for Migration (IOM) in Tunis (Tunisia) on migration and development programmes. She completed a MA in Migration and Diaspora Studies from the Faculty of Anthropology at the School of Oriental and African Studies (SOAS), University of London and a BA in Ethnology and Human Geography from the Faculty of Arts and Humanities at the University of Neuchâtel in Switzerland.